Hi! My name is Cathy VerSteeg. I graduated from Dakota Wesleyan University with a degree in elementary education and a music education endorsement. 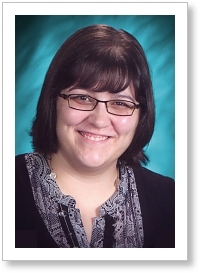 In 2008, I completed my masters degree as a reading specialist from Black Hills State University. This is my thirteenth year teaching second grade at Longfellow. I love being a part of the Longfellow family! I grew up here in Mitchell. My mom, Patty, is retired from teaching 1st grade at L.B. Williams. My dad, Dave, is a telecommunications instructor at Mitchell Technical Institute. I have one younger brother, John. He is an instructor of mechanical engineering at South Dakota State University. We are a family of teachers! When I am not at school, I like to play piano, read, do photography, and watch movies with friends.